Sydney, New South Wales, Australia, 23rd November, 1984. It’s a roundabout journey from Scotland to South Dakota via New Zealand and Australia and even more so from November 1984 back to the mid 1800’s. 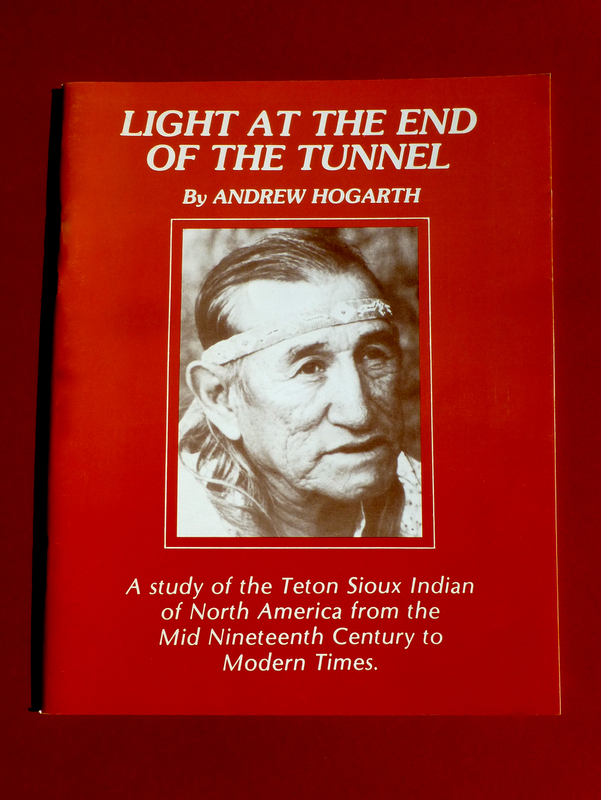 However author Andrew Hogarth has made it, through what originally was just an interest in the Teton Sioux which turned into a hobby and finally a book. “Light at the End of the Tunnel” is a study of the Teton Sioux Indian of North America from the mid-nineteenth century to modern times. Delving into the history book, particularly those covering the Sioux, Hogarth desperately wanted to visit South Dakota to see the areas made famous by a 300 year battle for survival. In 1982, in his third trip to the United States, Andrew Hogarth realised his dream – South Dakota. While visiting Crazy Horse Mountain, in the famous Black Hills he met and became friends with the man who was to awaken the author in the Scotsman. 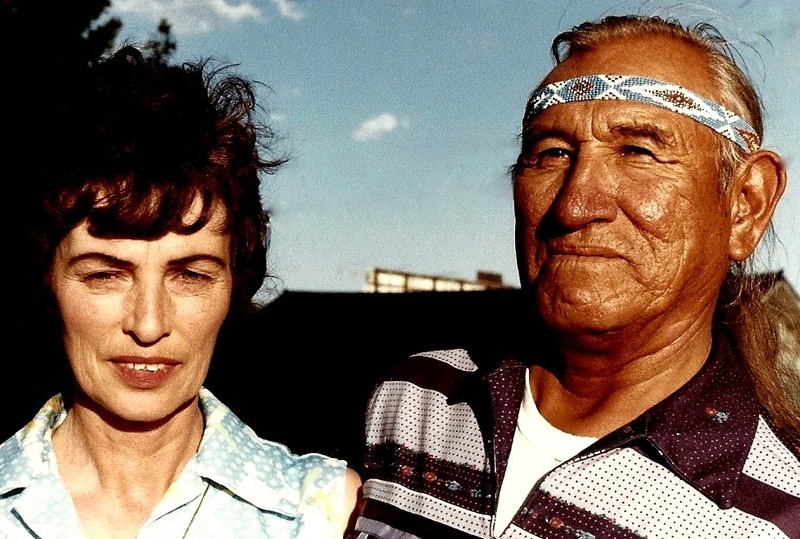 The man was full-blood Oglala-Brule-Lakota-Sioux Jack Little and his American wife Shirley. They contributed enormously to my understanding of the Sioux, both past and present.” Hogarth said. Although associated with the publishing industry for many years, he has been working as a tradesman – Graphic Reproduction Camera Operator – and certainly not as a writer. But after having three articles – “A Culture Died At Wounded Knee,” “In Search Of An Identity” and “The Little Bighorn 1876” – published in a specialist magazine, Hogarth decided it was time to write a book. “I wanted to preserve the culture of the Teton Sioux by printing Jack Little’s story. 30 years from now the old full bloods will be long gone. “Today life in the fast lane leaves many people without much spars time to read books. Created is probably the right word, because over the next year in addition to writing he also designed the book’s layout, took the photographs, many of which are published for the first time, and published his first and what he is confident will be his last book. Hogarth had developed an enormous respect for a race of people who fought bitterly to stop the white man’s civilisation. Hogarth believes that today’s 32,000 Sioux Indians still living in South Dakota still face battles that would be familiar to their ancestors. 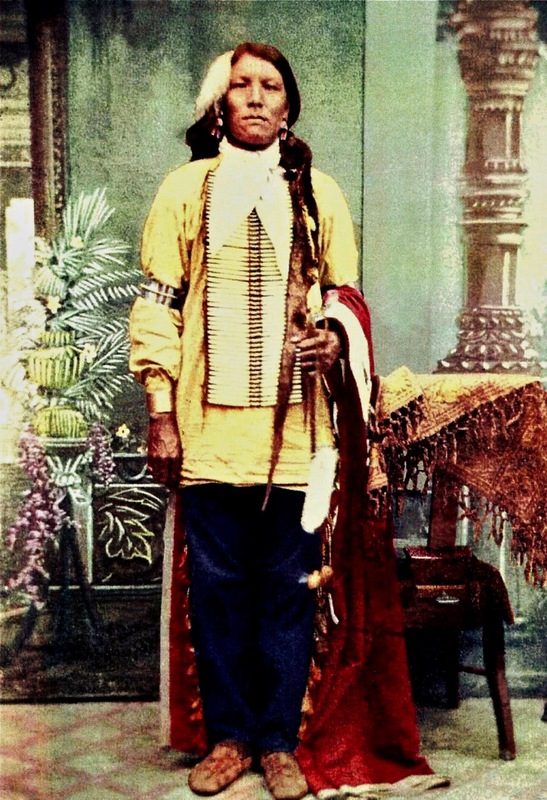 Pictured War Chief Crazy Horse, Camp Sheridan, Nebraska Territory, 1877. Photograph courtesy of Putt Thompson.